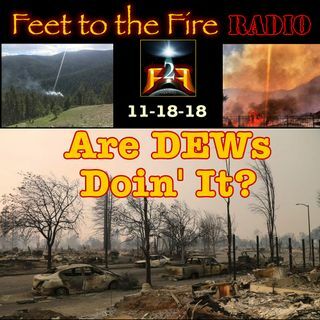 F2F Radio 181118 - Are the DEWs Doin' It? Many have posted and reposted and reposted several pictures with the assertion it proves, conclusively, the California Wild Fires and been started and or/continued by the use of Directed Energy Weapons (DEWs). But do these pictures prove the assertions? What of the video of a "DEW" striking, LIVE on camera? How do the trees live while buildings and cars burn to the ground near them? Live video of a "DEW"
Also, the Caravan of Migrants (A.K.A An Socio/economic/crime Invasion) is a myth according to the MSM. There have been some videos and live reports of this... myth... in action. This week's Bumper Music's song is "Nothing but the Blues" by Dr. Harmonica from the CD "The Power of the Blues"
If you like the program, please hit the like button. If you wish to be alerted for future presentations, hit the "subscribe" button.